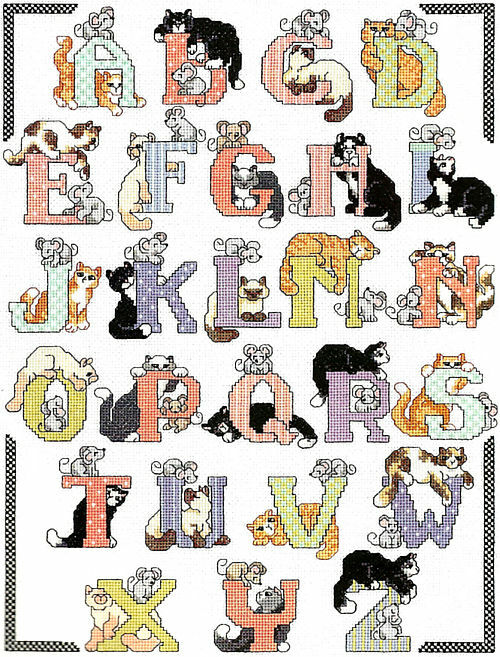 Cat Alphabet is a fun and exciting way to display the alphabet. Colors of green, blue, purple and many more colors accent this beautiful design. 14- count Aida fabric, 6 strand carded 100% cotton floss, floss card, needle, graph, instructions. 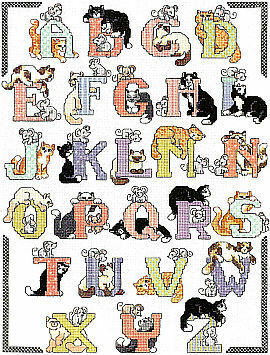 Design size: 11.75"x 15.75"